Myoflex is an analgesic rub that actually penetrates deep into aching muscles and joints to deliver effective pain relief to the site of the pain. 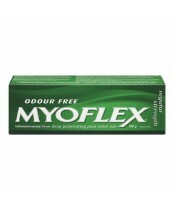 Myoflex can be used where you have pain and is odour free so no one knows you’re using it. 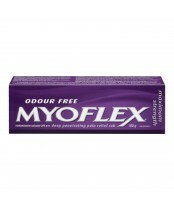 Myoflex also absorbs quickly without sticking to or staining clothes.